The holiday movie season is upon us. Thanksgiving is one of the biggest times for people to go to the theater in the United States since most of us have a four-day weekend (excluding, among others, those who are forced to work in retail thanks to Black Friday sales). It’s no surprise that the Wednesday before our national holiday has several major releases vying for our well-earned dollars. Scheduling when movies are to be released is a tricky thing. Studios have spent in some cases hundreds of millions of dollars on a film, plus much more on marketing, and gamble on the money they will make back. If it is released at the wrong time, say during a season where people tend to stay at home, then the movie stands a good chance of failure. There’s also the issue of competition. Big “tent pole” movies are often scheduled a year or more prior to the release, sometimes even before the film is actually shot. There are only so many prime dates, so studios decide whether a film is a summer blockbuster or more suited for the holiday season (Thanksgiving through New Year)–or if it would be better to throw it into the no man’s land of September or February where there’s less competition. Two big action adventures opening on the same day can be box office death for either or both of them. The average movie-goer probably won’t want to see two movies on the same weekend, so the audience will either choose one movie over the other or else split their vote resulting in lower than expected receipts for both motion pictures. If one major film already claims a weekend, the other studios will take their biggest hitters and try to fill in the remaining opening dates, unless they go on the attack and schedule the same weekend. In this case, it’s a showdown to see who blinks and reschedules. After all, in today’s market, the opening weekend is everything; it makes or breaks a movie. This year sees the release of two movies directed by Steven Spielberg. While that’s not unusual (he tends to lump his movies together for some reason), usually he has a summer release and a holiday opener. This year, The Adventures of Tintin and War Horse are going to be released four days from each other, December 21 and 25 respectively. Originally they were going to be on the same day until Paramount and Columbia decided to move their animated adventure to the Wednesday before Christmas. 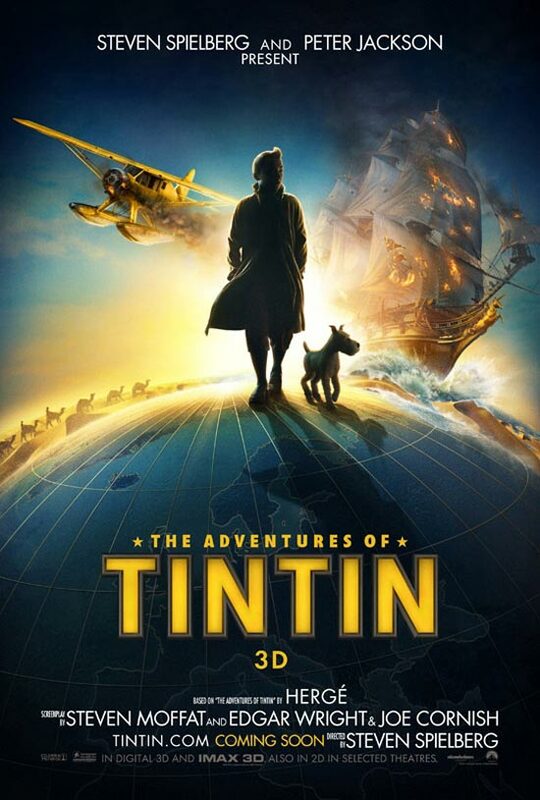 Granted, these two movies probably will have different audiences, but given the beautiful cinematography of War Horse and the fact that it’s about a young man and a horse (looking like The Black Stallion with explosions), it may draw a family audience, which Tintin surely will garner. Counter-programming makes sense. If a guy-centric adult drama like Moneyball is released on a particular weekend, it makes sense to open a family film like Dolphin Tale on the same day–parents can drop the kids off to see that movie and then go see the one that appeals to them. As it turned out, the 3D re-release of The Lion King was still going strong, so Dolphin Tale didn’t really hit its stride until the following weekend, thanks largely to good word of mouth and reviews. It’s no surprise that Moneyball and Dolphin Tale made virtually the same amount of money, given that they targeted different audiences and did not have to compete despite being in the theaters at the same time. Which brings us to today, the day before Thanksgiving. Since kids are out of school until Monday, it makes sense that studios would try to entice them to come to the theater and buy tickets. Maybe they figure that over the course of four days, parents will be willing to send them out of the house repeatedly since they have scheduled three major kid-friendly movies opening on the same day: Hugo, The Muppets, and Arthur Christmas. Let’s not forget that Happy Feet Two came out this past weekend to confuse the issue more. Do the studios really expect that all three movies will do well, or do they think that their own family film will best the other two? Based on the trailers and critical reaction, all three movies seem to be worth the price of admission. It’ll be up to personal taste or, more importantly, the marketing blitz that each movie receives, as to how much kids will pester their parents to see any of them. Will parents reach deep in their pockets to pay for two or possibly three trips to the cinema? Hugo is based on Brian Selznick’s award-winning novel The Invention of Hugo Cabret. The film is director Martin Scorsese’s first foray into family fare, jumping in full-force with 3D technology that even impressed James Cameron. Scorsese is an inventive filmmaker, and since the subject matter deals with an inventive filmmaker, Georges Méliès, it’s no wonder that it will be a visually impressive and highly personal film. Given the fact that it’s hard to turn on TV without seeing a trailer for Hugo, it would be a surprise if this movie underperforms. The Muppets, on the other hand, is a property that has been well-loved for generations. However, Jim Henson’s creations have not been on the big screen since 1999’s Muppets from Space, which didn’t even make back its budget and forced the Henson Company to do the subsequent two films for TV. Jason Segel sold Disney (the current owner of the Muppets) on the concept of this new movie and was allowed to write and star in it. The story does a Blues Brothers bit by rounding up the old gang to put on a new show. It references the old Muppet Show, which should appeal to those who grew up on that ’70’s series as well as kids who will be entertained by the antics of Kermit, Miss Piggy, and the rest. The last of the family films opening today is probably the one with the longest shot at success, Arthur Christmas. It’s an original story and the first CGI animated film by Aardman Animations, which produces the wonderful claymation Wallace & Gromit films. A teaser trailer for this film came out last year and was impressive, so they started the promotion early. It seems like a smart, quirky, and entertaining explanation as to how Santa Clause can hand out so many presents all around the world on Christmas. Of course, that’s the problem–it’s a Christmas movie released a month prior to Christmas (by comparision, A Very Harold & Kumar 3D Christmas was released on November 3 and earned $29 million). Shouldn’t Arthur Christmas be released closer to Christmas? Perhaps the studios releasing these films are not necessarily counting on earning all their money opening weekend, but count on a long-term plan. The next major family film won’t be out until Alvin and the Chipmunks: Chipwrecked on December 16–the same day that Sherlock Holmes: A Game of Shadows comes out. While Twilight is not exactly little kid fare, it’s still aimed at adolescent girls. Hugo came in at number eight, but the Hollywood Reporter explained that it opened in only a third of the theaters as the other major releases in hopes of gaining word of mouth over a period of time (something that movies used to do in the old days before everything depended on the opening weekend). By comparison, The Muppets had a per screen average of $1,919 while Hugo had a per screen average of $1,304. Arthur Christmas‘s per screen average was $711. ← How Cinematic Are the Star Trek Films? 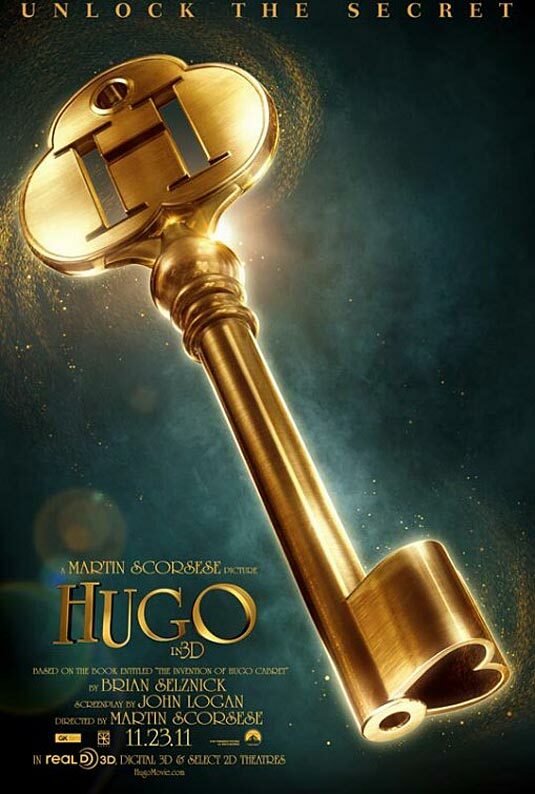 I have a thought that Hugo might taper off faster if it enjoys a strong opening weekend take; it’s clearly much more geared toward cineastes who can appreciate the Melies influence and references, and while I’m sure it’s still enjoyable for most I do wonder if maybe that level of cinema appreciation will turn off a percentage of the audience, especially as more reviews make it more clear that Scorsese is writing a love note to cinema. Regardless, I’ve been way more excited for Muppets for a much larger stretch of time. I bought my Lux level tickets for a 5:00 show today three days ago if that tells you anything. Maybe, but the advertising stresses the beautiful visuals, the slapstick by Sacha Baron Cohen, and of course the young leads, which appeals to kids. Given the marketing blitz it’s enjoying, I’m sure a lot of kids will want to see it knowing nothing about it’s plot relating to the early days of cinema. I’ll be taking the kids tomorrow to something (Hugo, Arthur Christmas, or Muppets), or maybe I’ll dump them into Happy Feet 2 and go see The Descendants ;-). For the future, it’s Warhorse for me over Tintin and Sherlock Holmes over anything that has singing rodents. Fine look at these, Jamie. Thanks. Or you could all see Hugo and have different reasons to be delighted. From what I understand, it is a love letter to movies and the filmmaking process, so it seems to be a must for any true movie-lover. I can’t wait to see it.